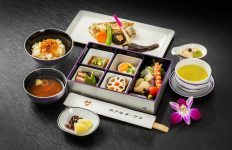 AirAsia has launched a new route connecting Bangkok with Ahmedabad, the capital of Gujarat state and India’s first UNESCO World Heritage City. The four times weekly service, available on Monday, Wednesday, Friday and Sunday, commences 31 May 2019, will expand AirAsia’s network in India and stimulate tourism to Thailand. 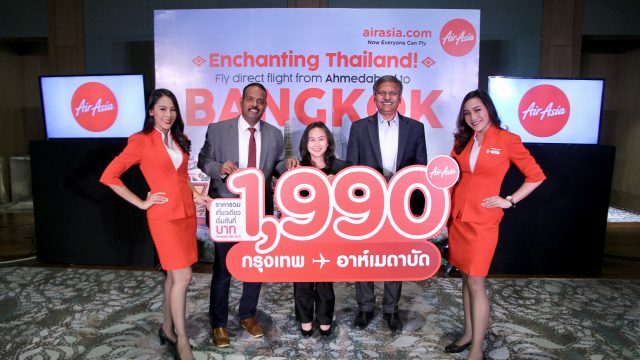 AirAsia is offering BIG members a promotional all-in-fare from THB1,990* for Bangkok-Ahmedabad on airasia.com and the AirAsia mobile app from today until 21 April 2019 for travel between 31 May 2019 and 4 February 2020. 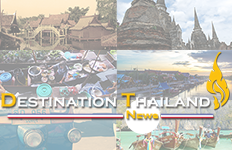 Thailand welcomed 1.5 million Indian visitors in 2018, up 12 percent from the previous year, according to the Ministry of Tourism and Sports Thailand. 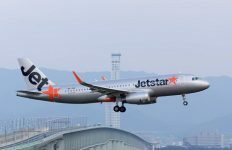 AirAsia Thailand has recorded a positive load factor of up to 87 percent on its India routes, with guests travelling between Bangkok and existing destinations in India increasing 7% on-year. 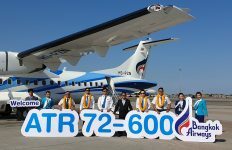 Indian nationals made up 85% of guests on these routes, affirming that AirAsia Thailand has been performing well in India. Ahmedabad provides Thai travellers with an exciting opportunity to explore western India. The first city in India to be made a UNESCO World Heritage City, Ahmedabad is known for its grand religious sites and Indo-Islamic architecture, which include the popular Adalaj Stepwell, as well as the delicate carvings that adorn buildings in the city’s old quarter. The city is also considered the “Manchester of the East” as it is India’s second largest producer of cotton and was once dubbed the best Indian city to live in by the Times of India. AirAsia Thailand currently flies from Bangkok to nine cities in India: Chennai, Bengaluru, Kolkata, Jaipur, Kochi, Visakhapatnam, Bhubaneswar, Ahmedabad and Gaya (seasonal). * One-way all-in fare inclusive of only taxes and fees. Stated promo fare applies to AirAsia BIG Loyalty members only. Terms and conditions apply.